Sunset light on a stormy summer evening. Angel Peak scenic area is located in northern New Mexico near Shiprock and Farmington. 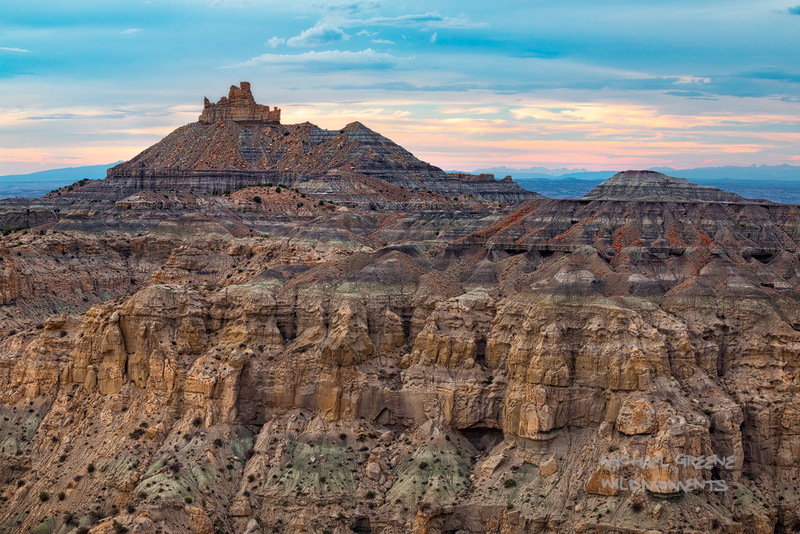 These vast badlands are a photographer's paradise. Photo © copyright by Michael Greene.